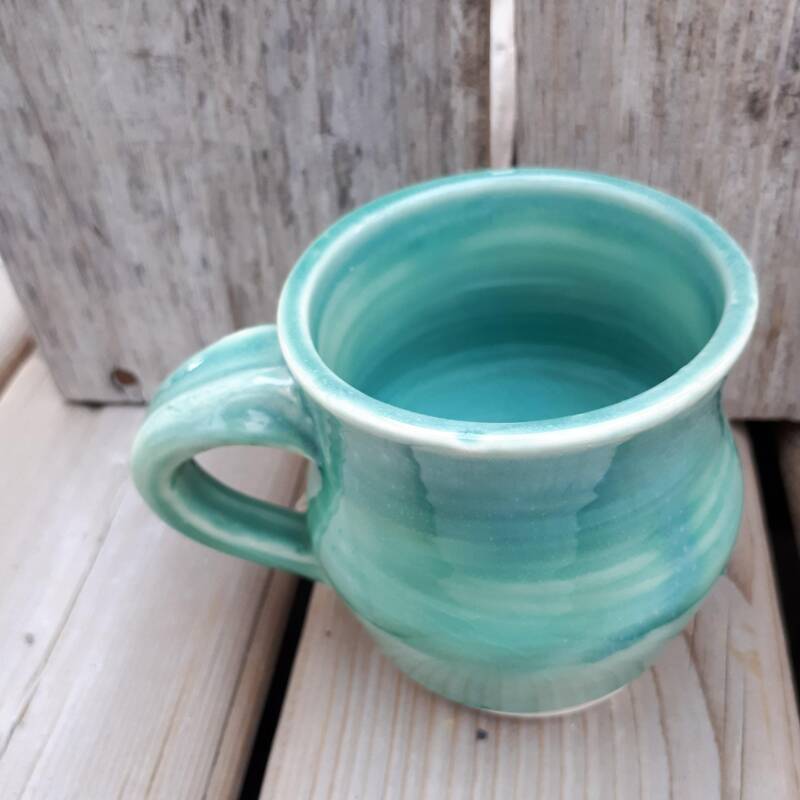 This pottery mug thrown on the wheel is calming Caribbean blue green, it will wake up your morning better than Folgers in your cup, and is inspired by the healing ocean waters. 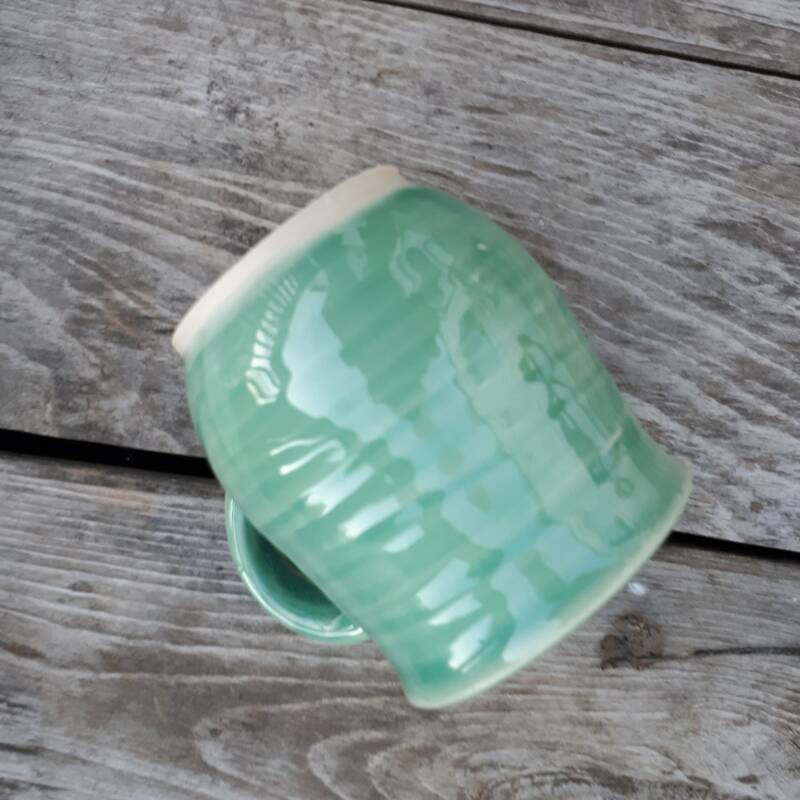 Pieces are fired in a kiln so there may be variations in the colors from the one in the photo, will do my utmost to match. Please convo me with your location for exact shipping costs. convo me with questions. 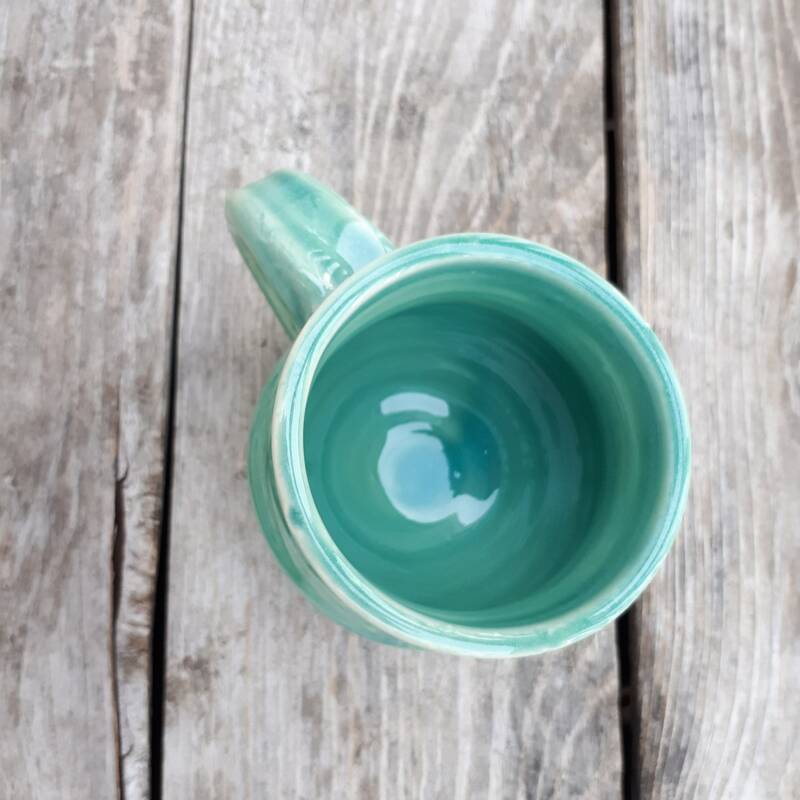 colour and size may vary slightly as each is handmade and fired where it shrinks up to 15%.